Let’s survey the past and present of how we manage distributed systems, and then maybe try to predict the future. For this survey I’ll look at a few open-source technologies to give concrete examples (in Kardashev style. 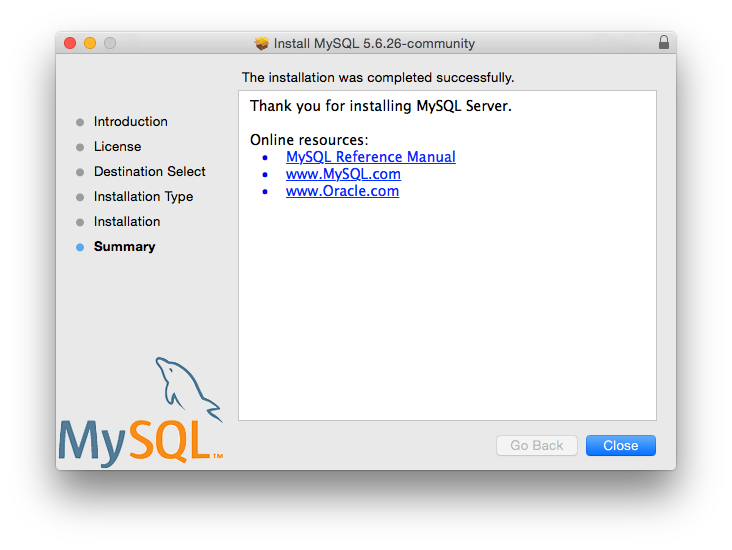 MySQL is a great example of a distributed system (when setup in Master/Slave configuration) that is designed to be installed and configured by humans. The configuration files are human-friendly ini-style. The runtime orchestration is established via commands (statements) in the MySQL shell. This doesn’t mean that the software can’t be automated. I’ll discuss what MySQL looks like when it is automated at different levels further down in the blog post. I might call the “scripting” of MySQL orchestration “Type 0.5”-style orchestration. There are a few examples of what this looks like. There isn’t much to say about Type 0 automation. It is characterized by the lack of built-in automation facilities and cumbersome/brittle integrations with external automation systems. It starts getting interesting when engineers take these systems and build orchestration tooling around them. I predict that we’ll continue to see more and more systems being build with automation in mind from the start, leading to very different interface and configuration design decisions. These types of tools are very mature now, but they still operate at the “host” level and don’t really have the capability to do “cluster-wide” operations like “promote a new mysql master” or “replace a cassandra node”. They mostly assume that the host in question already exists, and leave the provisioning and de-provisioning of servers up to another tool (knife, etc). I predict that Type 1 tools will continue to lose relevance in a world where Type 3 tools exist, and as the industry as a whole learns to look beyond “the single node”. Type 2A distributed system management tools can operate beyond a single node, but are still general-purpose tools that have the capability to be extended to support a variety of distributed systems. This usually involves some sort of domain specific language (DSL). They key attribute to these tools is their tight integration with the underlying infrastructure APIs. This makes them well suited for general purpose infrastructure as well as deploying distributed systems. A reader might be wondering why I would even expect such tools to have such functionality. After all, these Type 2A tools are “infrastructure oriented”, not “distributed-systems oriented.” But if Type 2A tools are not quite sufficient for fully managing distributed systems for us, then what is? Type 2B Tools are the counterparts of 2A. They are very “application-aware” and are not general purpose infrastructure tools. They rarely have the ability to launch raw infrastructure themselves, and often still require “Type 1” tools to get them going. The nice thing about this class of tools is how “smart” they are about the application they are managing. Sometimes they are even written by the same entity that creates the distributed system it manages. Some of them run continuously, supervising the distributed system in a tight reconciliation loop. Contrast this to Type 2A tools, which do not operate like this and usually run in a “one-shot” fashion. I predict this class of tooling will remain relevant to orchestrate the current generation of distributed systems in a platform-agnostic way, but eventually will give way to Type 3 tools. Type 3 tools are Application-specific, like 2B. But they sorta look like type 2A tools because they are empowered to launch and destroy actual “infrastructure” (docker containers). This is because they are built upon a different class of infrastructure abstraction that is currently being met in the industry by a small subset of tools, namely Mesos and Kubernetes (k8s). Another distinguishing feature of Type 3 tools is that they must run continously. They must run continuously supervise the distributed-system itself. The tool must be able to respond to changes in health state. They often have ways of orchestrating changes across the cluster (like upgrades). 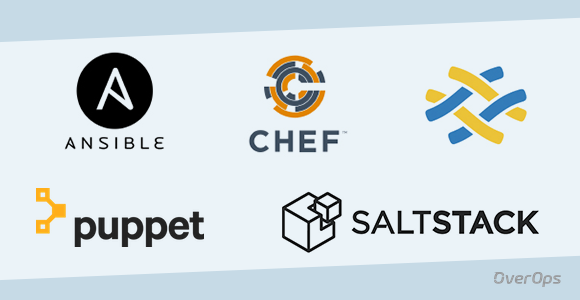 Unlike many other classes of tools, Type 3 tools are tightly coupled to either Mesos or k8s. I have yet to see a “platform-agnostic” tool that can be a Mesos framework and k8s operator (contrast to Type 2A tools that often have multiple “providers” for deploying to different “clouds”). While there is no “native” language for either Mesos or k8s, the large production Mesos frameworks are Java/Scala and most k8s operators are in golang. The Mesos/k8s “apis” and primitives are very different, unlike the “compute instance” primitives that AWS and GCE provide, making it difficult to build a common tool. In order to write a Mesos Framework or k8s operator, you need to be an expert in Mesos/k8s and fully understand how to manage the distributed system the framework/operator is trying to run. This is unlike Type 1 (config management) tools, where you only need to know a little bit of puppet to write a puppet module. The barrier to entry is higher. They are so different that I’m going to split them up and talk about them (Mesos/k8s) separately. Time will tell if there is room in the industry to have Mesos and k8s and any more than that. I predict that the difficulty in building high-quality Type 3 (Application-specific orchestrators) is so high that we won’t splinter into many community-provided modules like we’ve seen in Type 1 (classic configuration management) tools where everyone makes their own “Apache” module. Mesos Frameworks are application-specific distributed-systems orchestration tools. While they are “easy to write in any language”, they are hard to write well, and only a few dozen open-source production-ready frameworks exist. Here is the list of those that are available on the DC/OS Universe (note: many of the packages on the DC/OS Universe are standalone applications that run on Marathon and are not Mesos Frameworks, and don’t need to be). DC/OS created by Mesosphere, is kinda like a “Mesos Distribution” which includes Mesos, a fancy installer, a basic process runner (Marathon) and a package manager, akin to a Linux distribution. But most companies should not need to build their own bespoke Mesos frameworks. Do most companies need Type 3 tools at all? They do, because most companies do run open-source distributed systems, but often lack the advanced automation to orchestrate them. The current status quo is that only experts in those distributed systems handle the orchestration of them. Without advanced orchestration, risky MySQL maneuvers are left up to a DBA. Cassandra maintenance needs to be done “very carefully”. You basically don’t change a Zookeeper topology once it is up. But active development is mostly on the dcos-commons versions of these frameworks. Why? I think it is because of the difficulty of writing high-quality production-ready Mesos frameworks. Mesosphere (the company behind DC/OS) notices this, and has a financial incentive to build these high-quality frameworks. Therefore, they build up a toolkit (the dcos-commons library) and do it themselves. I do think we are in the right space (Type 3) for these problems to be solved. I (personally) think the abstractions that Mesos provides are quite enough to build “rich” distributed systems. I also think that the Mesos Offer Model is a bit awkward to use (but that is maybe for another blog post). Kubernetes Operators are similar to Mesos Frameworks. They also run continuously and are application-specific. They know how to handle upgrades or recover from failures. They run in a tight reconciliation loop, always trying to keep a system healthy. There are far fewer k8s operators than Mesos frameworks today. I believe that is the case today because Mesos has headstart of a few years, and k8s Custom Resource Definitions (one of the better core primitives in k8s to create operators) is still in beta. I think Custom Resource Definitions (CRDs) are going to be the best way that users will interact with custom k8s operators. The surface area of what you have to write for a k8s operator is much smaller than a Mesos framework. Additionally, users who use the k8s operator “feel” like they are “just interacting with k8s”, because in a sense they are! The k8s operator is just responding to etcd events and posting back to the k8s api in a particular way. I think the model is better for both k8s operator writers and users. Combine this with helm charts and I think you have a very good starting point for building a powerful platform for managing and orchestrating distributed systems. As an industry I think we are still in Type 3 automation land. I think the next incremental improvement on this type of automation will look like a hybrid of Type 3 (Mesos frameworks / k8s operators) and Type 2A (Terraform, Cloudformation, etc). Currently, Type 3 tooling is only able to use the compute resources given to it, or maybe an external autoscaler can watch the cluster as a whole and scale up and down. At the risk of separation-of-concerns-blasphemy, I think the next level of distributed-systems automation will be able to launch and terminate its own raw compute resources. I would like my Tensorflow k8s operator to launch GPU instances if it needs to. I would like my HDFS operator to launch its own data nodes directly. I would like k8s itself to turn off nodes that it doesn’t need. Past that, I don’t have an imagination good enough to imagine what might be beyond. Email me or make a pull request if you have comments or corrections.